Where gowns go, so go bridal accessories, and especially the top bridal accessories trends. This means you can see a little bit of wherever bridal headpieces and jewelry are heading on the prior year’s runways. 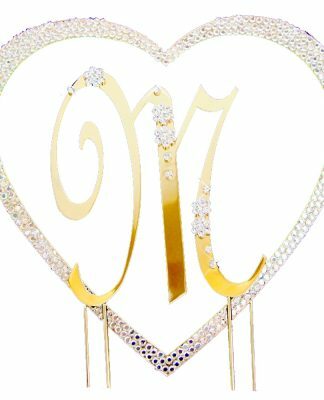 However as to the way these top bridal accessories trends are achieved, you have to examine everything that fashion accessory designers are previewing in their designs if you wish to end up being up-to-the-minute chic at the time you glide down the aisle. When considering bridal accessories, one of the simplest philosophies to keep in mind is “couple similar items together”. And because strapless wedding dresses have been giving way to Grace Kelly inspired wedding gowns made with lace, lace, and a lot more lace you had better recognize that bridal accessory stylists are following suit. Lace and dainty bead and crystal designs that mimic lace are available on more than just veils—everything from bridal headbands to full jewelry packages may now justly be termed as “lacy”. 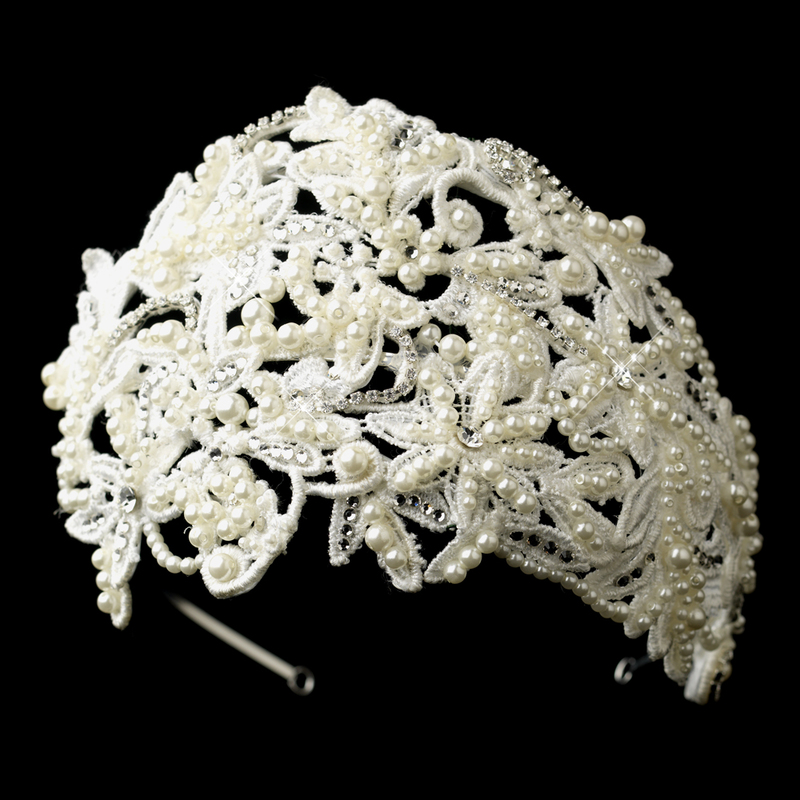 The simply stunning and exquisite Pearl & Rhinestone Russian Tulle Cap Headband is a great example. It’s an elegant arrangement of fabric swirls and leaf-like designs covering a contoured cap along with dozens of pearls and rhinestones beautifully dispersed throughout the piece. A number of would-be brides are gravitating towards lavish headpieces made of vibrant blooms, though brides who choose to keep their bridal accessories forever are getting organic designed items that feature all those best elements of nature. Think intricate ornate leaves, imagine fabulous silky smooth bouquets, not to mention applique as ornate as a sprout’s freshest florets. The Silver Ivory Fabric & Rhinestone Side Combs are fabulous floral bridal combs that will add sparkle to your hair style. Mesh fabric petals are arranged into a flower design that sparkles with clear cut rhinestones. 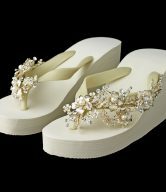 You’ll welcome these bridal accessories trends if you are devoted to using a trace (or more than a trace) of nature in your bridal apparel but choose to not be compelled to cope with the fuss of fresh wedding flowers. Gone is the era when your bridal ensemble had to not merely express something, but shout it. Statement designs, though still favored by those brides with that certain something needed to pull them off, are creating space for smaller, much more understated finishing touches that may be said to have pure style. Purity itself is the statement, making this one of the top bridal accessories trends to contend with. 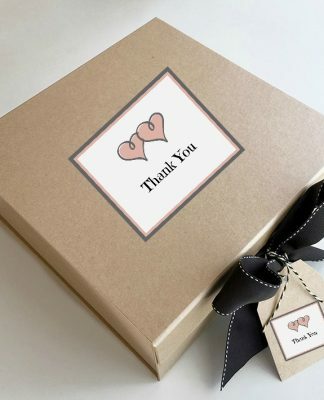 Brides to be are choosing wedding jewelry that speaks to them in a tiny, genuine, personal voice, regardless of whether that selected piece beckons to the world at large. 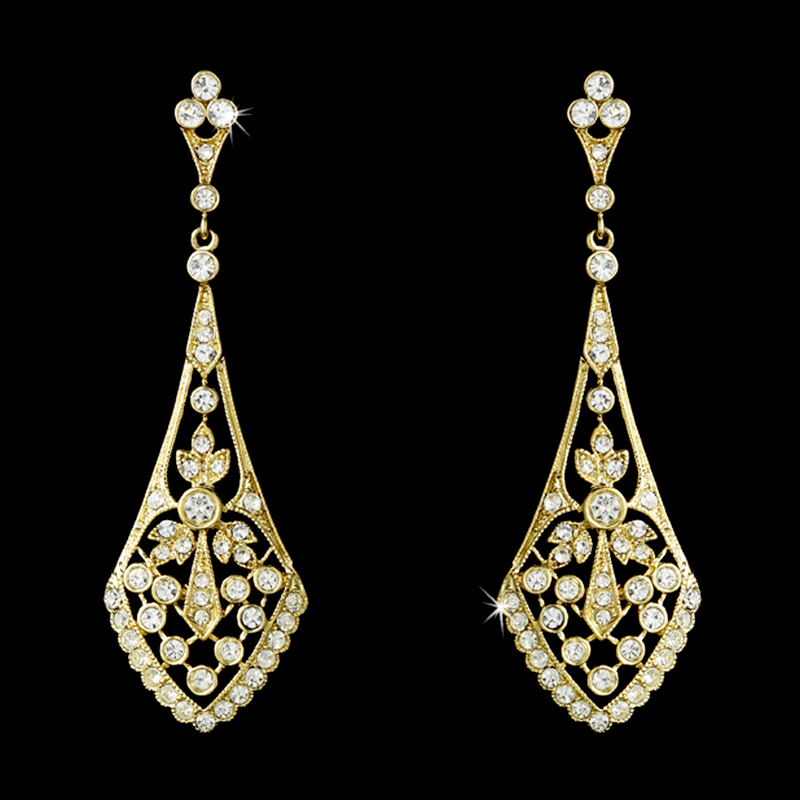 Like these CZ Vintage Bridal Earrings—a stunning pair of Cubic Zirconia bridal chandelier earrings featuring round-cut clear, sparkling CZ stones and set within an intricate 14 carat gold-plated base in an art-deco pattern. 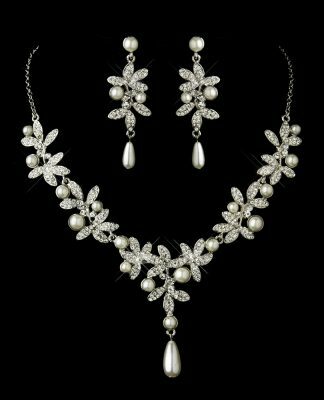 The Greeks thought that when a bride-to-be wore pearl wedding jewelry, she would likely be guaranteed a happy and healthy marriage. 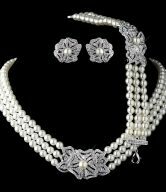 There has to be something to it, if not the truth, the sense behind it, because pearl jewelry has actually been preferred by brides to be for hundreds, if not many thousands of years. 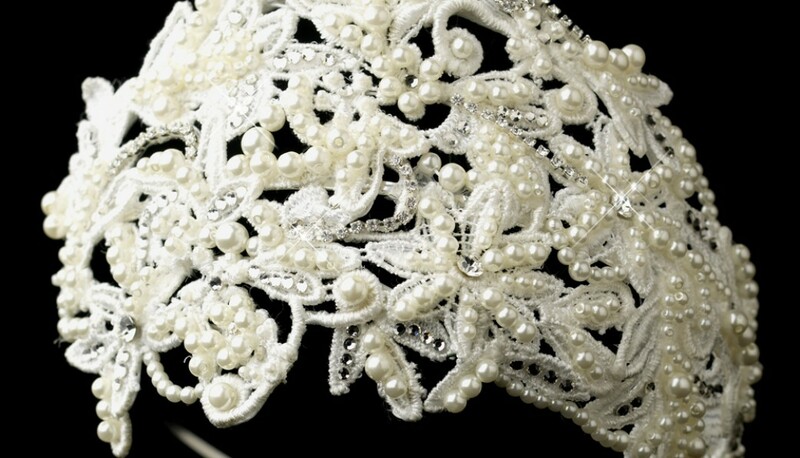 Of course whilst pearl bridal accessories trends usually never and likely will not ever go out of fashion, their appeal strengthens and weakens, and in 2014 they are back once again in a huge way. Count on seeing plenty of pearl jewelry at any wedding you show up at, at present and into 2015, also. 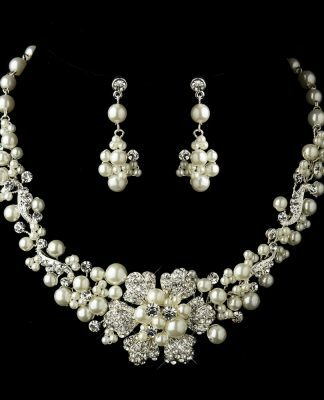 Such as the beautiful and elegant Silver White Pearl Pave Ball Bridal Necklace Set—separated with beautiful silver plating and encrusted with shining rhinestones, and perfect for the classic and traditional inspired bride. 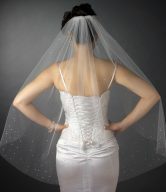 A totally gorgeous wedding veil might be flawlessly simple, however this year ornamented is unquestionably in. Everything from tiny hand cut crystals to embroidery and lace to minute glass pearls are found beautifying the edges of modern brides’ veils, making this one of our favorite bridal accessories trends. The age-old concept that stated that majestic dresses require basic veils is being thrown right out the window. Wide satin ribbon edge veils make for a eye-catching statement without getting too flashy, but why conceal yourself on your wedding? The Romantic Mantilla Lace Elbow Length Veil, on the other hand, is a single layer mantilla lace edge wedding veil embroidered with light beading and sequins. Even though it has a soft and beautiful look, it drives home the point that typically more is more.